Are we about to see a massive rice shortage in Asia? Thailand and Vietnam, the two largest rice exporters in the world, are facing severe drought conditions that are severely threatening this year’s rice crops and global rice supplies. Rice is one of the key “staple foods” in eastern nations, so a serious disruption in the supply of rice could be a major problem. Thankfully, many crops in the western world (such as wheat) are doing very well so far this year, so hopefully this potential rice shortage will not hurt too much, but it never hurts to put away some extra rice in your emergency food supply. After all, you don’t start preparing for a storm once it has already arrived. You start preparing when you see the first storm clouds forming on the horizon. In Vietnam, this severe drought is shaping up to be the worst in a hundred years. The truth is that there has been very little rainfall across the entire nation since last September. Over half of Vietnam’s estimated 44 million person workforce is involved in agriculture, so if this drought continues much longer it is going to be a horrific disaster. The drought is also extremely severe in Thailand. 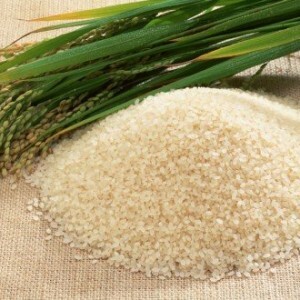 Thailand accounts for approximately one-third of all global rice exports, and analysts are now forecasting a decline of at least one million tons for this year. That is bad news, but hopefully world food supplies will not be impacted that severely. However, a few more body blows like this and we could start looking at a global food crisis. This is another reason why we should all be prepared for scarcity and natural disasters. Since I knew about my friend being in Chile several months ago when the earthquake occurred, I’ve been working on creating my food storage. She told me that thanks to the emergency food they had down in Chile she was able to survive and come back home safely. So I decided to be prepared because we never know when or where we can be in a natural disaster. Thanks for your article.